Tall buildings are the cornerstone of high density urban living (large cities) as they make the best use of limited space. Large cities have proven economic and social benefits (albeit they are not without their disadvantages and detractors) and they are the manifestation of a nation’s development. Whilst most developed countries’ have either static or small growth of large city populations, for many Asian countries they are rapidly growing. It is forecast that the number of people living in big cities globally will double from 3.5 billion (2013) to 7.0 billion by 2050. That will require a lot of tall buildings! 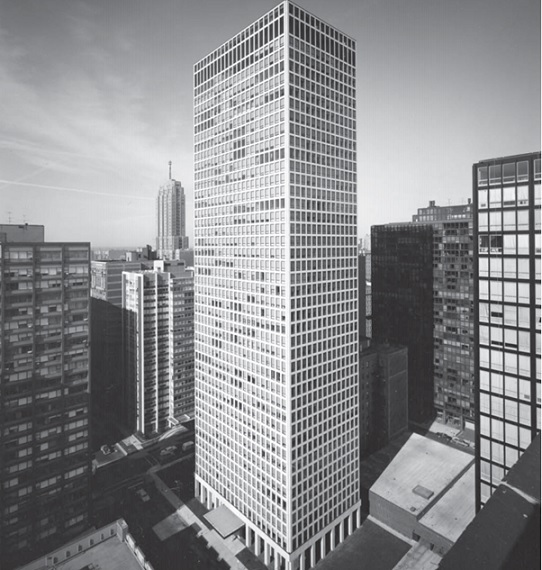 Tall buildings have traditionally been constructed almost exclusively with concrete and steel, resulting in high embodied energy and carbon footprints on a unit area (per m3 basis). This is the result of two things. Firstly, whilst tall buildings are frugal with the land they occupy, they use a lot of building material to hold themselves up. This is to support the high gravity loadings, made worse by the high mass of concrete and steel. For example, vertical columns at the lower levels of a building have to support not only the floor at that level, but all the building's weight above that floor. This extra material is sometimes called a “premium for height”. Secondly, because steel and concrete have inherently high embodied carbon footprints (per m3 and per kg), the embodied carbon footprint of tall buildings on a unit area, or m2 floor-plan basis, is high. With massive pressure to reduce C02 emissions, this issue is getting the attention of governments, NGO’s, architects and the general public around the world and stimulating a re-think of how tall buildings are constructed. There almost seems to be a competition of who can build higher and better with wood. There are many different construction designs emerging that wholly or substantially use wood, (see Wood Matters October 2012 and Wood Matters Log Market Report April 2016). The Timber Tower Research Project has developed a solution called the Concrete Jointed Timber Frame that relies primarily on mass timber for the main structural elements, with supplementary reinforced concrete at the connection joints. This system plays to the strengths of both materials. The result is an efficient structure that could compete with reinforced concrete and steel while reducing the carbon footprint by 60-75 percent. The Timber Tower Research Project’s Dewitt-Chestnut Apartments, Chicago Illinois is using concrete jointed timber frame design. If the trend to taller wooden buildings gains momentum, it bodes well for increased markets for Radiata pine, especially as large areas of new plantings come on stream in New Zealand (see Wall of Wood). This trend of tall wooden buildings taking market share from steel and concrete is likely to increase based on the high demand for tall buildings for city growth and increasing environmental awareness, especially pledges countries have made to reduce CO2 emissions to minimise climate change. NZ Radiata pine is well-suited for use as a feedstock for manufactured structural wood products (e.g. Glulam, CRT, LVL) and could be an important contributor to constructing taller wooden buildings. In contrast, the current use for Radiata pine in construction in our largest market, China, is decidedly unsophisticated – the main role being concrete boxing. 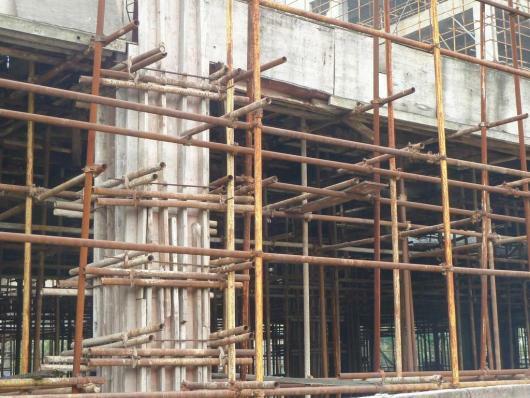 Radiata pine is used for supporting construction of concrete apartments in China, a relatively low-value end-use.